Tip of the Day: Watch Where You Are Walking! I have wondered for some time why I haven’t seen snakes and tarantulas while out taking photographs. I figure they are there and they hear me coming from a long way off. This one froze and hoped I (and the cat who was with me) would not notice her (or him?). I likewise froze, then slowly moved my camera up to my eye and snapped three photos before easing backward, away from the snake. The snake did not move. The cat, however, is definitely still a house cat; Lynx nearly sat on the snake’s tail! 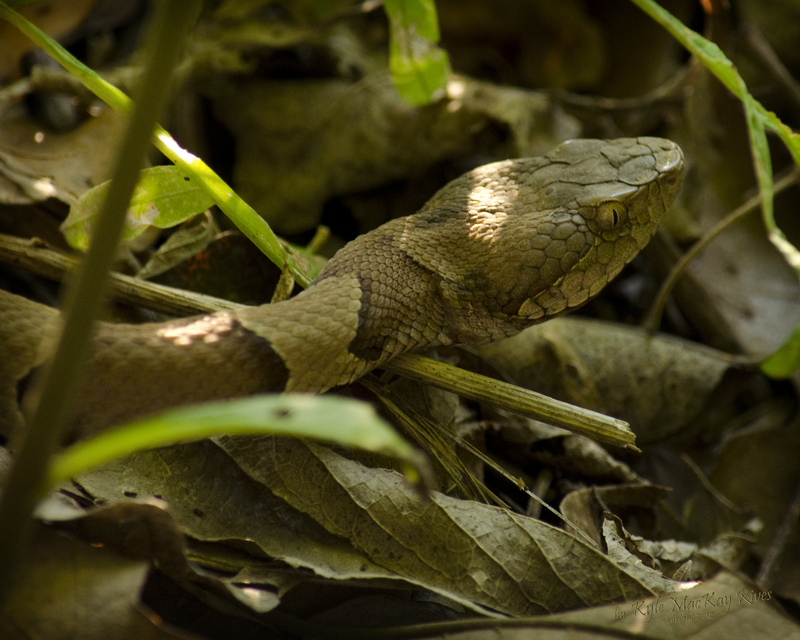 This entry was posted in photography and tagged 2012, Copperhead, nature, Oklahoma, outdoors, photo, Photograph, Photography, Snake, spring.